There is an old adage that “Nature abhors a vacuum”. This applies particularly to crystals. 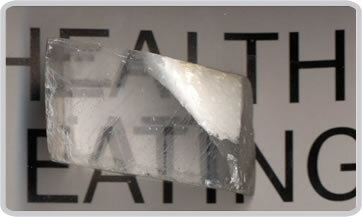 When crystals form the molecules try to use up as much of the volume in the crystal as possible. Even when the crystal is forced to form “porous” crystals, when they’re first made those pores are usually full of, at the very least, solvent molecules which must be forced out to access and use those pores. In structures where the molecules form networks, the spaces within the crystal formed by those networks can be minimised through the (un? )holy trinity of crystal packing – interdigitation, interpenetration and intercalation. 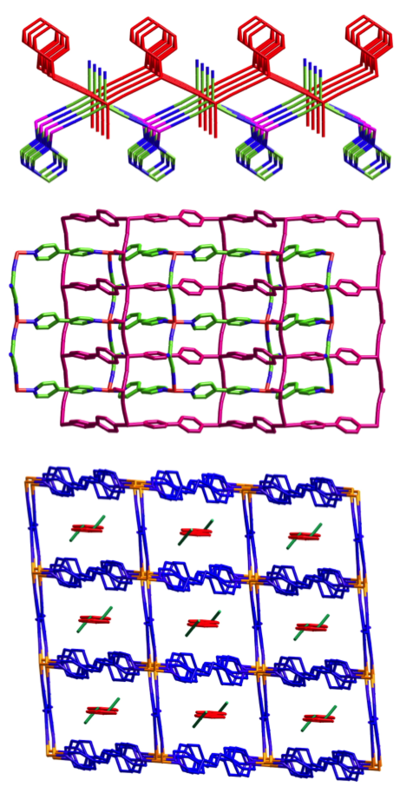 This is perhaps best illustrated by three structures which, chemically, are very closely related but display very different crystal packing in each case. All these three structures consist of copper atoms bridged by the small tricyanomethanide anion and another organic ligand, and all three form simple square grid two-dimensional networks. When the organic ligand is hexamethylenetetraamine, the 2D networks are quite corrugated and the anions project above and below the layers like bristles on a brush. So much so, in fact, that they poke into the holes of the adjoining network, and thus the nets interdigitate (literally meaning they have interlocked digits, much like your own digits do when you clasp your hands together). When the ball-shaped hexamethylenetetraamine is replace by the rod-like 4,4’-bipyridine, the layers interpenetrate rather than interdigitate. This means that (in this case) there are two networks that pass through each other to form discrete layers. The pairs of sheets are not directly connected to each other but are nonetheless interlocked such that they couldn’t be separated without the breaking of bonds. Fortunately this is not the case with interdigitation, or otherwise we’d need surgery every time we clasped our hands together. If the length of the ligand is extended slightly (by replacing 4,4’-bipyridine with 1,2-trans(4-pyridyl)ethene) the same square grid is formed, however this time the sheets stack to form channels, and the structure fills the extra space by trapping (intercalating) solvent and 1,2-trans(4-pyridyl)ethene molecules in those channels. 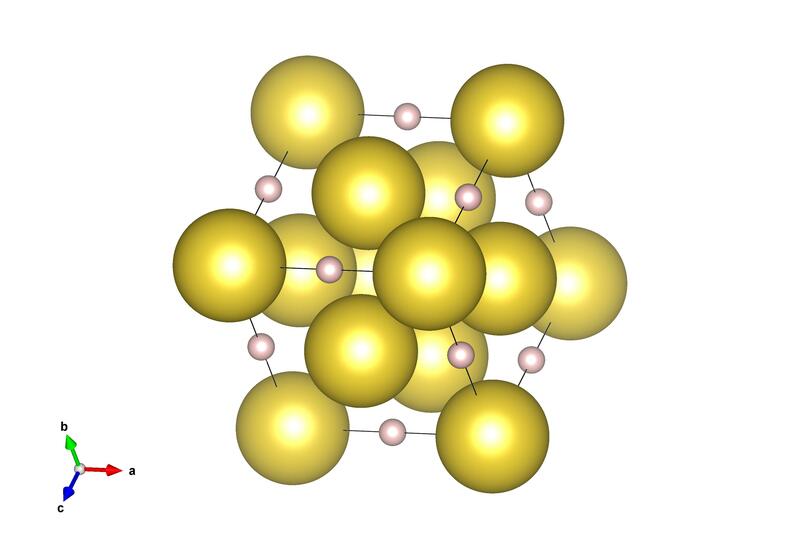 Source: “Interdigitation, Interpenetration and Intercalation in Layered Cuprous Tricyanomethanide Derivatives”, S.R. Batten, B.F. Hoskins, R. Robson, Chem. Eur. J., 2000, 6, 156. 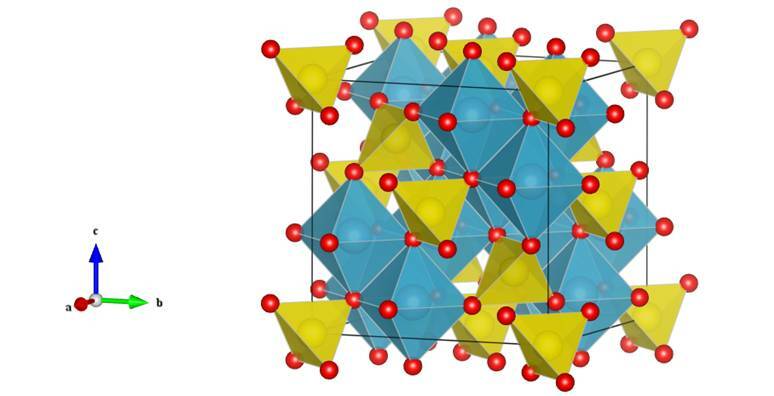 Silver(I) tricyanomethanide, Ag(tcm) has a layer-like network topology. In this network each Ag+ cation is coordinated to three tcm- anions in an approxomately trigonal arrangement: likewise each tcm- anion is coordinated to three Ag+ centres. 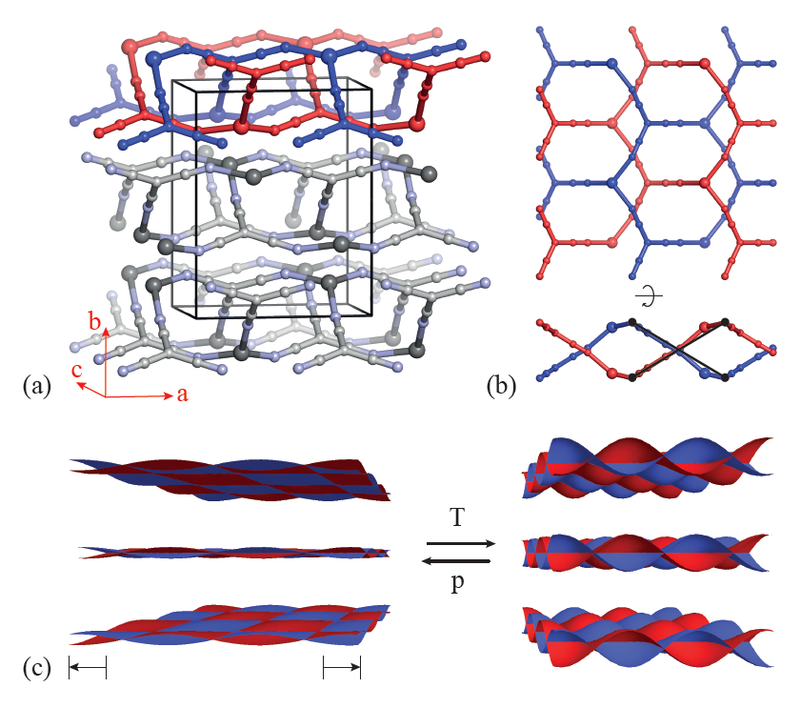 The resulting hexagonal (6,3) topology is sufficiently open that two honeycomb networks interpenetrate within each layer of the crystal structure. Adjacent layers interact via long Ag…N contacts that are sufficiently weak that the material behaves essentially as a two-dimensional framework. In the absence of a structural phase transition, it is a thermodynamic requirement that a system reduce its volume under hydrostatic pressure. The phenomenon of negative compressibility is the counterintuitive effect whereby this volume reduction couples to an expansion of the material in at least one linear dimension. In principle, the most extreme such response allowed thermodynamically is that of negative area compressibility (NAC), whereby a material expands along two orthogonal directions on increasing hydrostatic pressure. The remarkably few negative compressibility materials that have been characterised unambiguously expand only along one principal axis when compressed hydrostatically. The material Ag(tcm) exhibits both area negative thermal expansion and NAC due to a layer rippling mechanism illustrated in the figure above. The materials therefore expands within the layers under hydrostatic pressure and contracts with increasing temperature. It is also noteworthy that the magnitude of NAC is almost as high as positive compressibility for conventional engineering materials. Negative area compressibility in silver(I) tricyanomethanide. S A Hodgson, J Adamson, S J Hunt, M J Cliffe, A B Cairns, A L Thompson, M G Tucker, N P Funnell and A L Goodwin, Chem Comm 50, 5264-5266 (2014). Chasing complex molecules in the stars – looking for L-Serine. Amino acids are the building blocks of life. They are small molecules, 500 different one – but there’s a subset of 21 that build up to make all of the proteins and peptides that make us, and the machinery of life around us. For many years astronomers have been searching for the signal of amino acids in the stars, as it would be a sign that complex life could be built elsewhere in the universe. 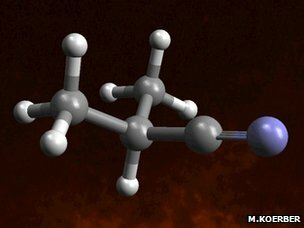 Image of the iso-propyl cyanide molecule recently detected 27,000 light years away. Though iso-propyl cyanide itself is not an amino acid, it’s the closest to this type of molecule yet found – mainly because it has a ‘backbone’ of carbon atoms. But what does the crystal structure of an amino acid look like? What is it and did the structure come from? This is L-Serine, one of the 21 amino acids that builds the cells which make up most life on Earth. Like iso-propyl cyanide it has a backbone of three carbon atoms. The structure of Serine was first determined in the 1950’s, but the structure we’ve feature here is from a high-pressure study by Moggach et al. It is #2100237 in the Crystallography Open Database. Sodium hydride, simple yet historic. Though it looks pretty simple, this structure has a special place in history as it was one of the first structures to be discovered with neutron diffraction. Though the positions of the sodium atoms in sodium hydride were known for some time (from x-ray diffraction), there was still debate if the hydrogen atoms were at the ½, ½, ½ point in the unit cell (a zinc blende structure) or at the ½, 0, 0 point in the unit cell (a rock salt structure). In the 1940’s a number of researchers realised that instead of using x-rays to diffract off a material, they could use some different radiation – a beam of neutrons. This was only possible with the development of nuclear reactors, which could provide a steady source of neutrons. Neutrons interact with matter in a very different way to x-rays. With x-rays, the amount they scatter from an atom is proportional to the number of electrons they have in their outer shell – for instance sodium atoms (with 11 electrons each) scatters much better than hydrogen atoms (with only one electron for each atom). Instead of interacting with the ‘cloud’ of electrons, neutrons diffract by interacting with the nucleus of the atom itself, and are not affected by it’s size, and so have a much more complex trend as you move through the elements of the periodic table. For instance heavy hydrogen (deuterium) has a scattering cross length from neutrons that is twice that of sodium. 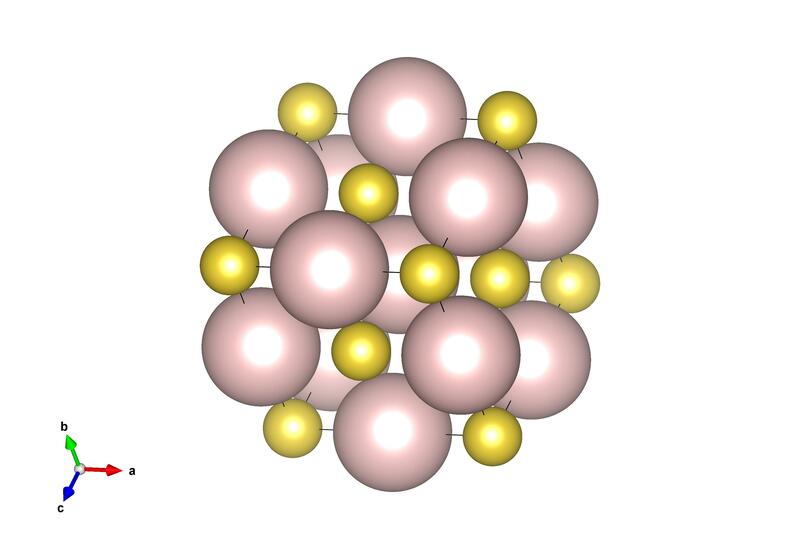 The structure of sodium hydride showing the relative scattering of the sodium (yellow) and hydrogen (pink) atoms. and to neutrons it looks like this! And this shows the relative scattering of the heavy hydrogen (pink) and sodium atoms (yellow) to neutron diffraction. This meant that the first researchers using neutron diffraction could work out that the structure of sodium hydride was, in fact, the rock salt structure. This paved the way for many other structures to be solved with neutron diffraction, locating atoms that would be difficult to see with x-rays. Shull, one of the authors of this work on sodium hydride, was later to share the Nobel Prize in Physics for his development of neutron diffraction. Neo-mag: The strongest permanent magnet of them all! Many of today’s technological devices that we often take for granted (cars, mobile phones, laptops, memory devices) rely heavily on the magnetic properties of materials. One such property of a magnet that scientists are trying to enhance is its “hardness” – or strength as a permanent magnet. This can be seen in the rare-earth magnetic material Nd2Fe2B, which is considered to be the strongest permanent magnet around and is ferromagnetic (with all magnetic moments aligned in the same direction) for all temperatures up to 400°C. It has an exceptionally high anisotropy, indicating that the magnetic moments have a strong preference to align along one crystallographic direction. When we apply a magnetic field in the opposite direction to the moments, Nd2Fe2B also shows a strong resistance to flip the spins indicating a high coercivity (750–2000 kA/m). It is these properties that make Nd2Fe2B such a useful magnetic material. Another hard magnet with similar properties to Nd2Fe2B is SmCo5. Since the development of this material by General Motors and Sumitomo Special Metals in 1982 Nd2Fe2B has found its way into a myriad of modern devices such as computer hard disks, magnetic resonance imaging (MRI) scanners, door locks, electric motors (in particular for cordless devices), hybrid and electric cars, and electric generators. There are, however, caveats to consider when using this material – it is highly corrosive necessitating Ni plating of all parts, and the rare-earth component makes them relatively expensive to produce. A feature of coordination polymers (or metal-organic frameworks – MOFs) is that many are porous, allowing the passage of gases and solvent molecules in and out of holes within their structures. 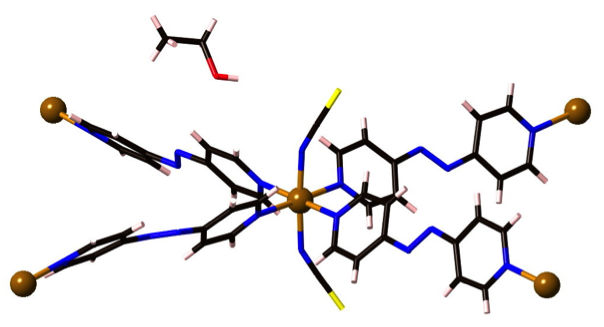 An interesting feature of the coordination polymer shown here (Fe2(azopyridine)(NCS)2) is that those molecules coming in and out of the structure illicit a change in the magnetic properties and colour of the material. It happens through a process known as spin-crossover. Magnetism is caused by unpaired electrons in atoms. Electrons have a ‘spin’, which can be either ‘up’ or ‘down’, and usually like to pair up with another electron in various orbitals around an atom. The two electrons in each orbital have opposite spin and thus cancel each other out. In some atoms, however, there are more orbitals available than pairs of electrons, and thus the electrons have a choice of spreading out amongst the orbitals as much as they can, or forming as many pairs as they can. The former case leads to a maximum number of unpaired electrons (and is known as the high spin state), and the later case has the fewest number of unpaired electrons possible, and is known as the low spin state. In spin crossover the atoms can swap between the high spin and low spin states when the temperature is changed, pressure is applied, or the environment around that atom is changed. In the example shown above, there are iron atoms that are bridged by long linear ligands. Importantly, the iron atoms also have two short thiocyanate ligands on opposite sides. When the coordination polymer is made, it crystallises with ethanol molecules in the lattice that cause the thiocyanate ligands to lay over somewhat. 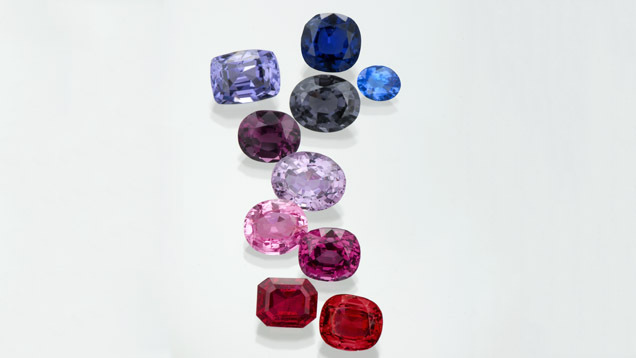 In this state the material swaps from high spin to low spin as it is cooled, and the colour changes. When the ethanol is removed from the lattice, however, the thiocyanates become ‘erect’, standing up and bonding straight-on. This and other resulting movements in the lattice changes the environment around the iron atoms enough to force them to stay high spin at all temperatures. Exposure of the material to ethanol vapour causes it to reabsorb the ethanol molecules, the thiocyanates flop over again, and it returns to the low spin state.